Piano Opening Hours: Daily 24/7. 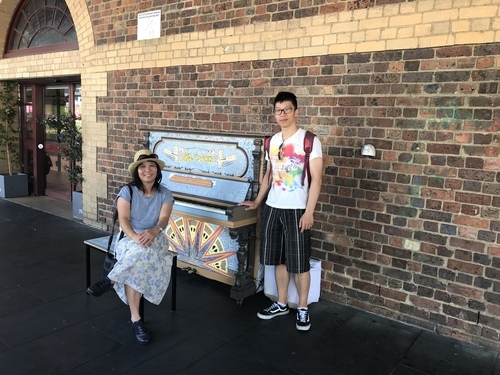 Piano donated by Paul Bilsby and decorated by Vietnamese Families with Special Needs, with thanks to Extended Families. 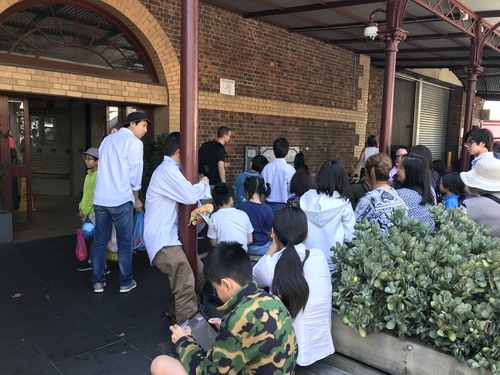 Hosted by Queen Victoria Markets. 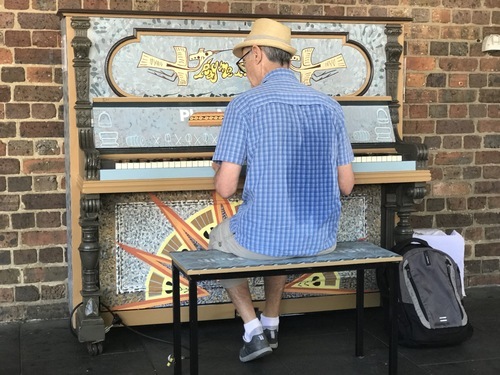 Composer & Pianist Tim Manger playing ‘Stride’ piano, recorded at Queen Victoria Market (Melbourne). Can you believe it ? ...not one lesson !! 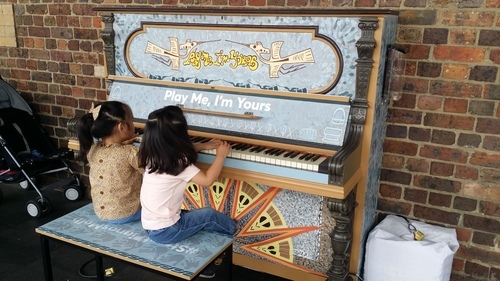 Thank you play me pianos and you tube for giving me the inspiration to learn and play. 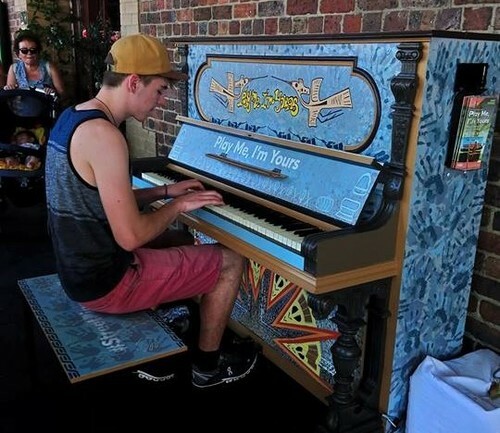 What to do when you sneeze while playing piano ...... well, you just keep playing! Thank you for a wonderful event. 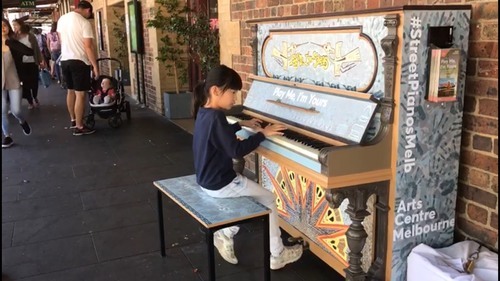 We had lots of fun visiting pianos around melbourne. 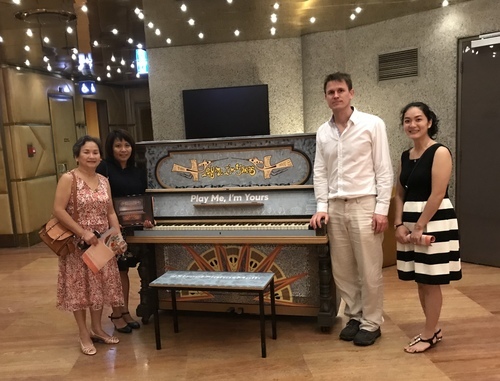 Families With Special Needs visited the piano on the 25/1. 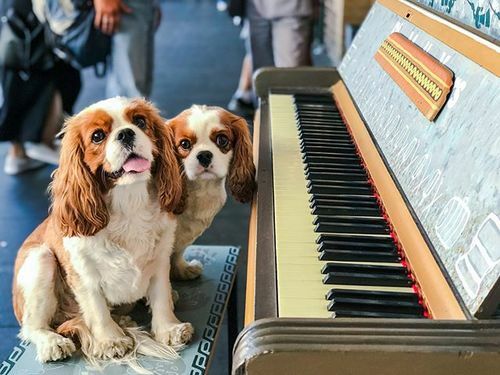 I enjoyed watching the people who passed by to play the piano. 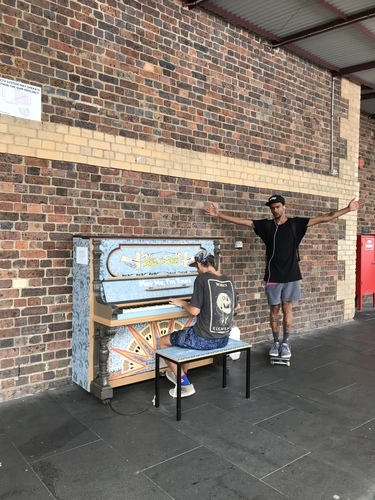 This is the second piano that we have discovered in Melbourne. Our daughter had a great time playing. How lucky!! 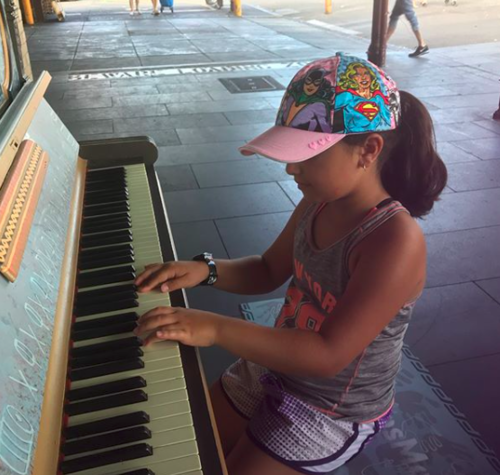 Jade enjoys playing the street piano at QVM!